Sure, even the idea of homeownership is appealing for all of the traditional emotional and lifestyle reasons. Having proprietary control over your family’s center of operations is a goal for most St. Cloud residents—just as most of us would consider it a necessary evil if professional obligations make frequent moves unavoidable. Travel may be broadening, but most rolling stones (no matter how moss-less) eventually hanker to settle down. But aside from the lifestyle aspects, another major advantage to settling down and owning your home gets its turn in the limelight at least once a year. This advantage is anything other than abstract. The time of year is April 15, when the concrete financial benefits are tallied up in the very welcome form of St. 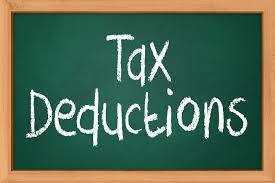 Cloud homeowner tax deductions. In the National Association of Realtors’ periodical houselogic, writer Dona DeZube recently surveyed some of the major ones—tax tips that deserve to be investigated by any St. Cloud homeowner who will soon be charting out their own mid-April strategies. Another hefty deduction is the one for St. Cloud property taxes you have paid. If your mortgage lender required you to insure repayment through private mortgage insurance (PMI), if your income is less than a set amount, the premiums may be fully deductible (otherwise, a reduced deduction will apply). Even more complicated rules apply to government insurance premiums (qualified advisor time). More homeowner tax deductions can be applicable, too, with varying degrees of complication—particularly those which relate to St. Cloud vacation homes. And there are also tax credits for things like energy-efficient home systems. The bottom line deductibility of many aspects of homeownership can be a major reason why April 15 gets many St. Cloud renters to do some serious examination of their residential futures. I’m here to help with any of your own real estate plans!